In the state of California, a contested divorce can be complicated, frustrating, and quite lengthy. It can mean a number of court appearances, documents, witnesses, and inconveniences too. It is always best when the issues including child support, spousal support and property division in a divorce can be settled by the voluntary mutual agreement of both divorcing partners. Nevertheless, in many divorces, one spouse may be left with no realistic choice other than to seek a dissolution judgment in court. At the Bayati Law Group, we believe that even in the most acrimonious dissolution circumstances, a negotiated divorce agreement should always be given one last chance. Let an experienced Orange County contested divorce attorney at the Bayati Law Group represent you in any divorce-related negotiations. When a voluntary mutual dissolution agreement simply is not possible, the Bayati Law Group aggressively represents our clients in contested divorce proceedings in Orange County and throughout southern California. Divorce trials can be exceedingly complicated both legally and emotionally. In the state of California, litigation and divorce procedures are conducted before a judge in a courtroom. Divorces are not decided by juries in this state. Although divorcing couples have a number of out-of-court divorce alternatives today, courtroom-centered divorces still happen every day in California, and when issues are in dispute, a dissolution trial may be the only practical way to resolve those disputes. When an experienced Orange County contested divorce attorney with the Bayati Law Group represents you in a California divorce trial, we present the best possible case to the court on your behalf. We fight aggressively for your rights, and if your children are involved, we fight for their rights as well. If the spouse you are divorcing is hiding assets, for example, or is posing a risk to you or your children, we will request restraining orders and use all legal tools and resources available to prove it to the court. 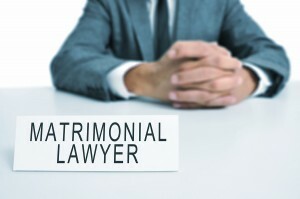 While we will make certain that your rights are protected and that you are treated fairly and justly in a contested divorce proceeding, no attorney can guarantee that a contested divorce trial may not be messy or embarrassing. Divorce trials are a matter of public record, so it’s important to understand there is little privacy during this process. If you’re going to be involved in a contested divorce or legal separation in California, it’s probably not wise, for example, to post anything at all on Facebook or Twitter about your relationship, and you must be cautious even with texts and emails. In a contested divorce, your texts, emails, and posts will probably be read by opposing attorneys and by the judge. They are not private and they may even be used as evidence against you in your child support, custody, and visitation disputes. Whether your divorce is going to be bitterly contested or amicably uncontested, the divorce lawyers at the Bayati Law Group are the attorneys to consult in southern California when you are considering, deciding on, or dealing with a dissolution. In most contested California divorces, the disputes are about the division of property, child custody and child support, and alimony. Community property is supposed to be divided fairly and equitably. Community property is defined in California as all of the marital assets acquired or earned in a marriage except for any property received exclusively by one spouse as an inheritance or as a gift. It might sound easy enough, but determining who owns what can be quite thorny, especially if a dissolution is contested or if the property and assets to be divided are extensive. People getting divorced can sometimes be very creative about hiding assets. Some try hiding business assets in foreign banks. Others temporarily transfer assets to a friend or to a family member. People have even buried cash. However, it’s harder to hide assets than most people might think, and when assets disappear before or during a divorce, it does not take a master detective to determine what’s happened. If you can prove that your spouse has hidden assets or you merely suspect it, talk with a divorce lawyer at the Bayati Law Group. We have a proven record of success in uncovering hidden assets and will work tirelessly on your behalf. Not all divorce lawyers, however, know how to find hidden assets. Gone are the days of leafing through pages of printed bank statements and other financial records. Knowledgeable divorce attorneys today use up-to-the-minute, high-tech strategies and forensic tools to help clients find a spouse’s hidden assets. Advanced software, for example, can analyze financial statements in seconds. In contested divorces, attempts at deception are common, but deceptions are also commonly exposed. Arriving at a fair and equitable division of real estate holdings can also be genuinely challenging. In the state of California, every piece of real estate is assumed to have value, and the fair, equitable division of real estate holdings can often be the most complicated issue in a contested dissolution. The Bayati Law Group can help. Our experienced divorce attorneys have extensive experience handling complex real estate disputes on behalf of our clients in contested divorce cases. If you anticipate a child custody dispute, you’re going to need knowledgeable, skilled legal help. Nothing is more important than your children, so it’s understandable that child custody, child support, and visitation rights are often the most hotly contested issues in a divorce proceeding. The courts in California determine which parent will get custody based solely and exclusively on what the court believes are the child’s best long-term interests. Unless the parents can come to an agreement on their own, the judge will provide both parties with a court order that must be followed. Whether you need immediate divorce representation from an experienced Orange County divorce attorney, or if you simply need legal advice and guidance to plan for the future, an experienced Orange County divorce lawyer at the Bayati Law Group is available to evaluate your situation, to explain the full range of your legal options, and to help you make the right decisions for yourself, for your children, and for your future. Every Bayati Law Group client and new prospective client is treated with complete respect and is extended every professional courtesy by everyone in our office. It is our policy to return every client phone call and email promptly. Please schedule an initial consultation today with an experienced California divorce attorney at the Bayati Law Group by calling (949) 798-5700 or by completing the form on the contact page of this website. Any divorce, contested or uncontested, can be an emotional time for both parties, so don’t go through this process alone. The Bayati Law Group represents clients in all matters of divorce, family law, and legal separation in Orange County and across southern California.